Who doesn’t love a good cup of tea? And how about a scone or tea sandwiches to accompany it? Tea provides a great way to start the day, end a meal, enjoy a break and more. Whether you enjoy your tea with milk or cream or straight up black (or green or herbal), there are countless varieties from which to choose. The following tea houses/shops in Massachusetts offer exceptional choices for tea lovers, including afternoon tea, tea parties or just a quaint spot to enjoy a cuppa. Check one out and treat yourself—or buy some tea and accessories for someone special. Enjoy a cup—or maybe even two—of your favorite tea at Tealuxe. Choose from a variety of loose teas and tea bag options to add to your tea stash at home, too. Tealuxe also sells teapots, tea strainers, tea cozies, and more. Featuring a 20-seat tea room where customers can enjoy tea and lunch, along with amazing desserts, the Tea Leaf also features everything tea-related you could imagine buying. In fact, they sell the largest assortment of pre-packaged tea found in all of New England. Be sure to make a reservation. Enjoy tea and scones—or even lunch—at Special Teas Teashop in Northborough. Book a private gathering for you and your friends or family members. Be sure to check out the special events scheduled throughout the year, like their annual Holiday Tea scheduled in December. Enjoy tea in-house or to go at Charlestown Tea & Treats. Order a bagel to accompany your tea—or perhaps a breakfast sandwich instead. The staff is very welcoming and will answer any questions you may have about various types of tea. The lemon squares are said to be perfect no matter the time of day! The Lounge at Taj Boston is noted for its afternoon tea served on Saturday and Sunday afternoons. Reservations are suggested. Dine on tea sandwiches, scones with lemon curd, fine pastries, and more. Request your favorite brew or try the day’s suggestions. This is way more than enjoying tea. It’s an experience. Treat yourself to Afternoon Tea or Lunch at Wenham Tea House. They claim it’s the most wonderful time of day. Enjoy scones, tea sandwiches, mini pastries and tea. Choose from countless loose-leaf options for the perfectly brewed pot. The service here is as special as the tradition. Enjoy afternoon tea and perhaps even a tea reading at Heath’s Tea Room. Reservations are suggested—especially for readings. Tea fare includes sandwiches and pastries, along with delicious pots of your favorite tea. For a perfectly brewed cup of tea, visit Argo Tea in Boston. Whether you enjoy it in the café—along with delightful menu items—or take it to go, you’ll enjoy one of many classics or new blends. Shop at Argo Tea, too, and stock up on loose leaf tea, tea collections, tea sachets, teaware, and accessories. Even if you only stop by for a cup of tea to go, check out the options in the shop. You’ll soon make plans to return! 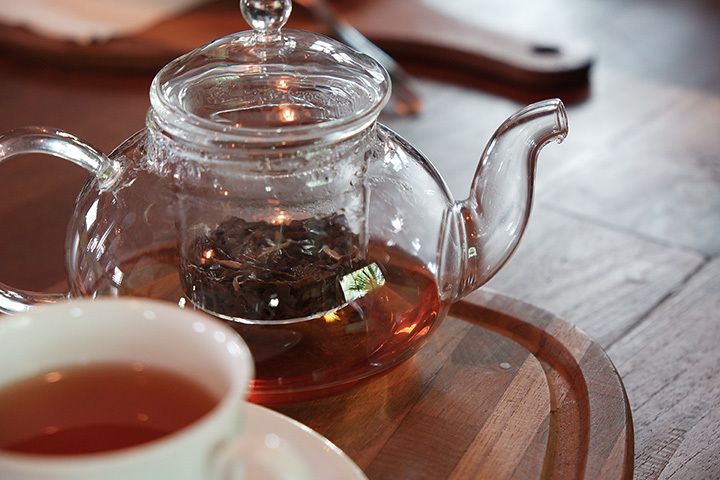 Enjoy tea, take part in a tea tasting, or enjoy high tea at Jolie Tea Company. Tea goes perfectly with macarons—and they serve them here. Check out the extensive collection of tea, teapots, teacups and more at the shop. You may also buy loose-leaf tea and pre-packaged tea. Their shop is the perfect place to buy gifts at birthday or holiday time for the tea lovers on your list. TeaCAMILLA is family owned and operated and touts itself as a “modern” tea house. Enjoy classic tea, exciting new blends and even Blooming Tea, served in a glass cup. Order a large teapot to share with your table. Organic pastries round out the menu, and include a Kowgirl Cookie, Bittersweet Fudge Brownie and seasonal coffee cakes, tarts and “Dough-Nots.” The atmosphere is warm and welcoming. You really must check TeaCAMILLA out!